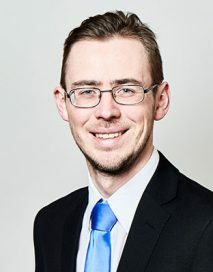 Philip is a civil and employment law specialist. Philip advises, drafts documents and represents parties in civil cases in the County and occasionally High Courts. He has particular familiarity with the areas of personal injury, contract, costs, insolvency, and landlord and tenant, but also has experience of a wide range of more niche areas of civil jurisdiction. He also appears in other tribunals, including inquests, the immigration tribunal, benefits tribunal and criminal injuries compensation tribunal. Philip acts for Claimants and Respondents across England, Wales and Scotland on all employment issues including unfair dismissal, TUPE transfers, redundancy, discrimination and whistleblowing. He regularly appears in week-long or multi-week cases, and has on several occasions appeared for large numbers of claimants in group actions. Philip undertakes matrimonial finance cases at all stages from first appointment to final hearing. He has also successfully represented the Petitioner in a contested divorce case.